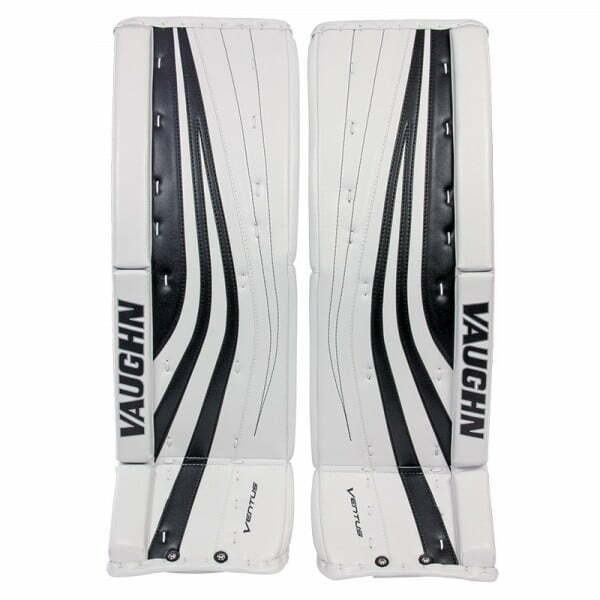 Vaughn Ventus SLR Pro Senior Leg Pads | Sports Etc. The Ventus SLR Pro design features a full flat front surface with a one piece solid outside roll to give the pad a solid firm shape. 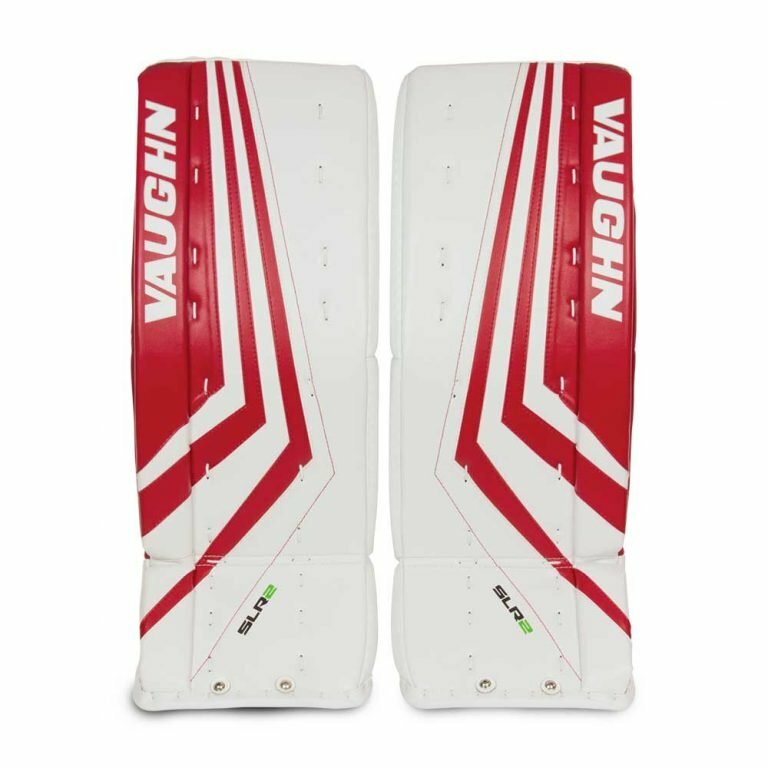 The pad is constructed around an internal foam core that is constructed with multiple density and thicknesses of foam to give the pad a very solid frontal blocking surface and firm perimeter edges for more effective blocking area. Recommended for any goalie looking for a flat faced pad, which allows for a square blocking surface on the ice. Sports Etc Performance To Value Rating– 9 out of 10-Excellent value. One of the very lightest pads on the market. 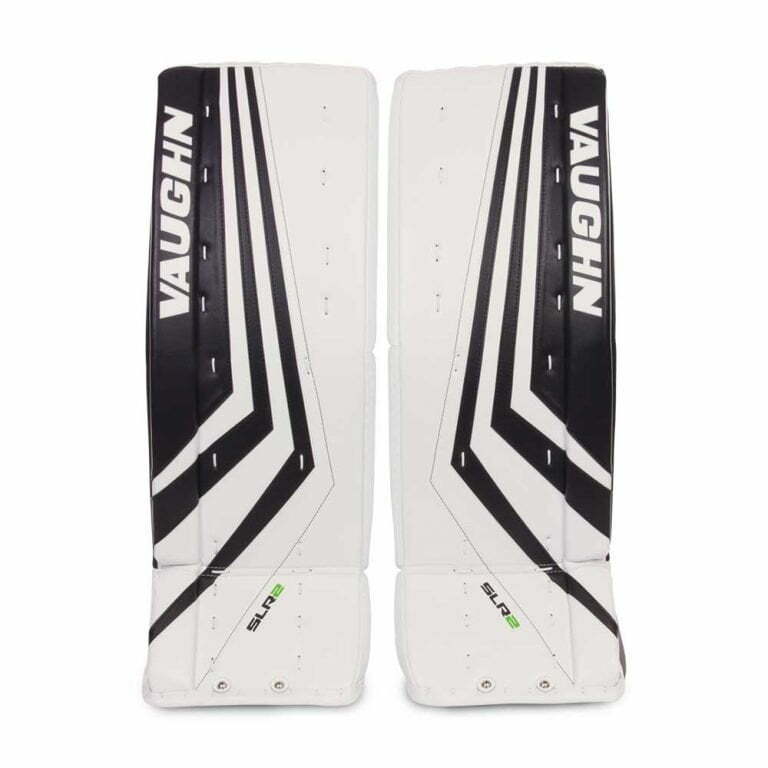 Senior level Vaughn goalie pads continue to be the best performance-to-value items in the goalie industry.